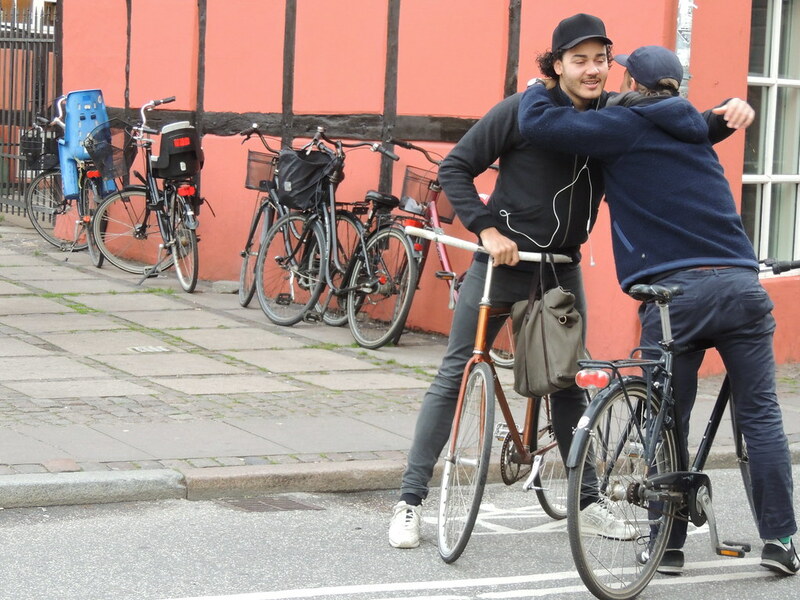 Standing just by great Danish pastry house Lagkagehuset, I couldn’t help taking a photo of these two sweet friends-on-bikes. Two more friends. 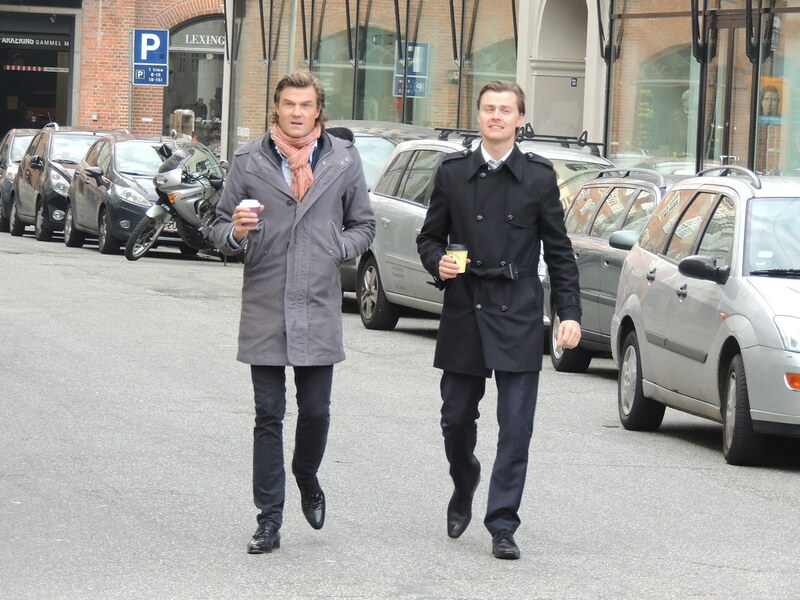 Hey handsome guys, where are your bicycles?! Moving on to Illum and Købmagergade, I also had to stop this guy. 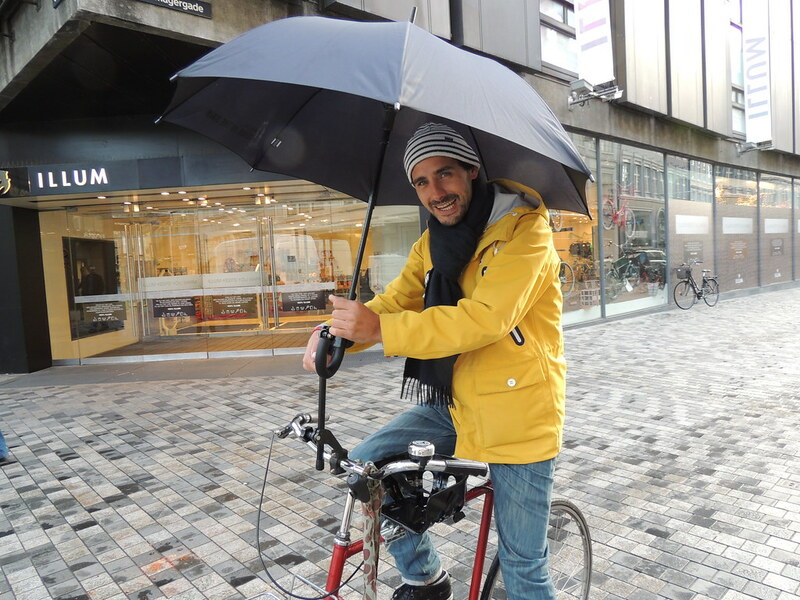 His bicycle umbrella takes 30 km of wind! Riding in the rain – with absolute style. Ps. Shooting Copenhagen travel guides – on bike – these days. Together with Cycle Chic co-blogger Clotilde. Stay tuned on www.cphblonde.com for the first release.